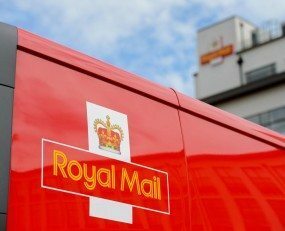 Royal Mail Group has revealed that revenues grew by 2% year-over-year in the first three months of its new financial year. UKPIL revenues fell 1%, with parcels revenue up 6% and letters revenues down 7%. Year-over-year comparisons are affected by last year’s additional general election volumes. International parcels accounted for 2 percentage points of the 7% increase in parcel volumes in the quarter. Parcelforce Worldwide volumes were up 4%, but with one of its key customers withdrawing from the market, it does not expect continued strong performance for the year. At GLS, volumes were 10% higher and revenues were up 11%. Particularly strong revenue growth was noted in Italy, Denmark and Spain. The subsidiary opened three new depots in Poland in the quarter and a further three Eastern European businesses saw double digit revenue growth.